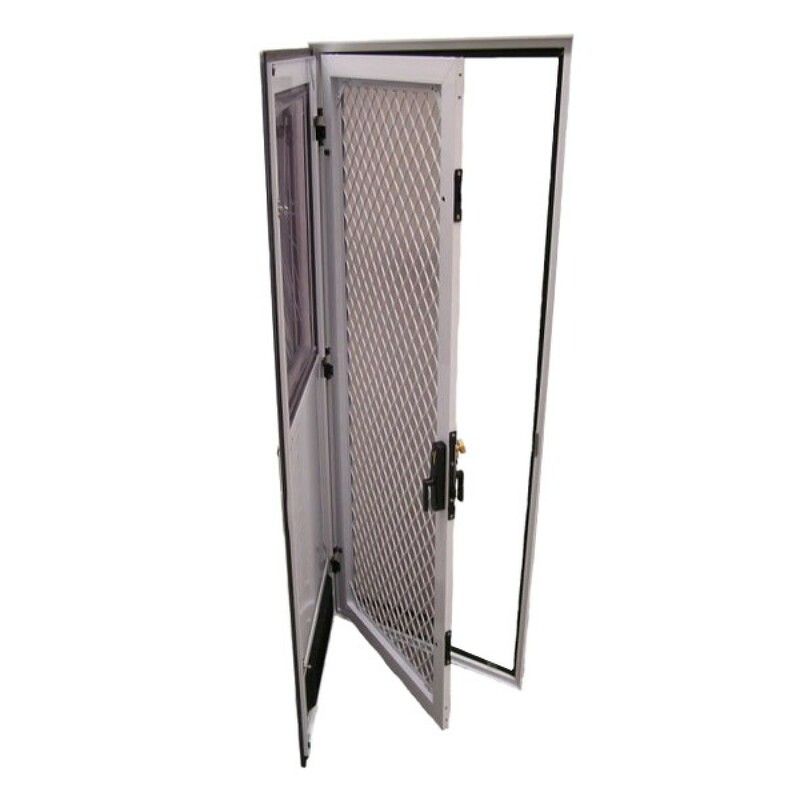 The ATRV square entry doors are manufactured to withstand our harsh conditions. Easy to install and come supplied with all the features you’d expect in a quality caravan door. Please select the door size, colour and hinge location form the drop down box. 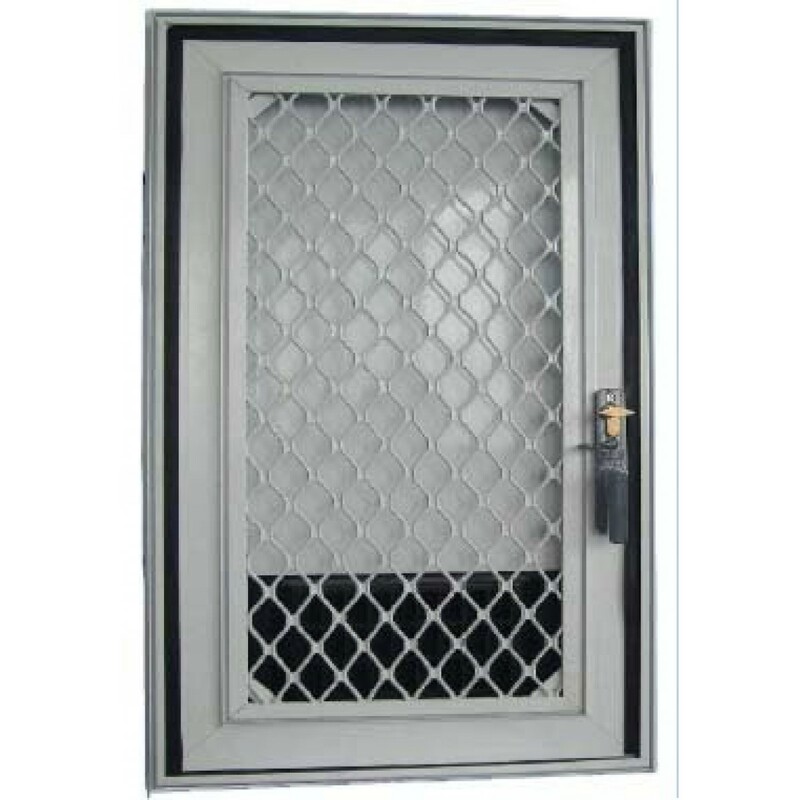 The square, triple lock ATRV caravan entry door is manufactured to withstand the harsh Australian conditions. 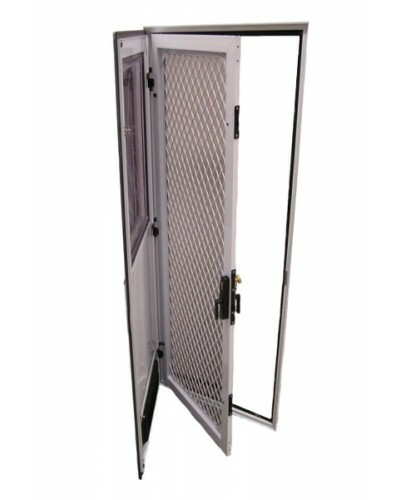 Easy to install, they come supplied with all the features you’d expect in a quality caravan door. 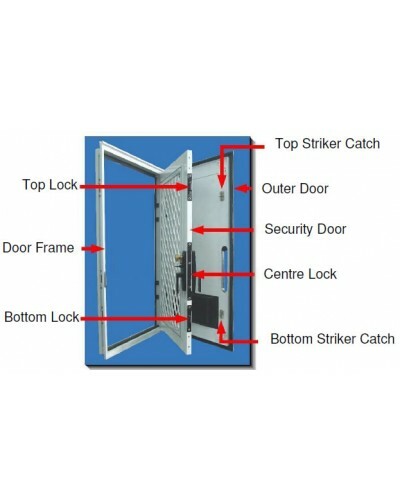 All ATRV doors are supplied with an additional key which when inserted into the inside door lock can’t be removed. This feature allows the caravan occupants to exit the locked van in the event of an emergency knowing the key is always in the door. 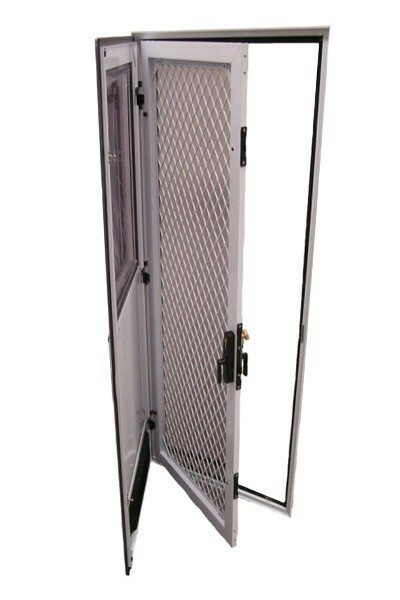 All ATRV Caravan doors supplied have a curved acrylic window as shown, some sizes are available with flat acrylic and can be supplied upon request. 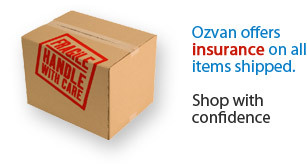 For peace of mind, all goods shipped by Ozvan are fully insured against loss or damaged whilst in transit. Three point door locking system. UV stabilised curved acrylic window. Security screen with fly mesh. Door is supplied with an internal door trim. White powder coated door and door frame. 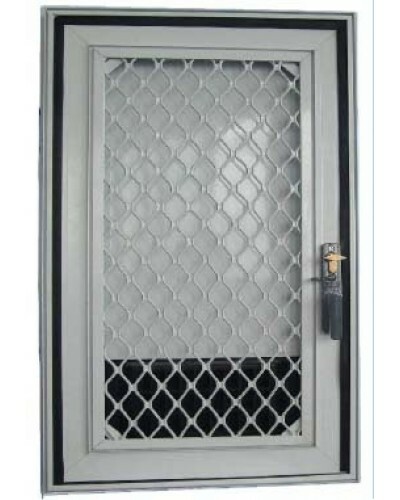 Bottom door vent which complies with Australian gas regulations. All measurements are the actual hole opening size required to install the door. All black doors come with a black door frame, white infill panel and a black security door. The hinge location is determined when viewing the door from the outside. 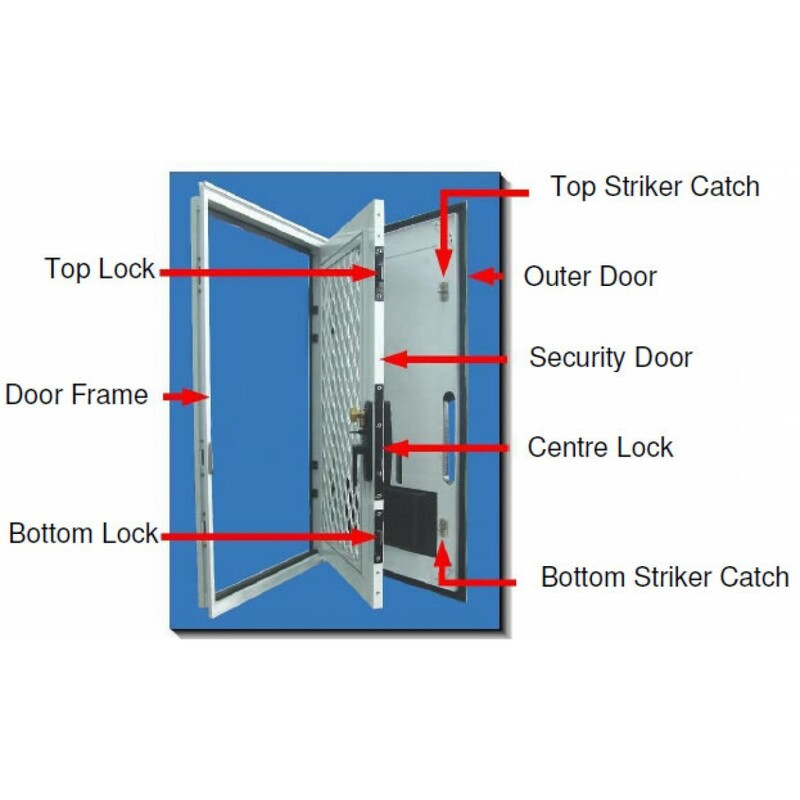 The additional images supplied are that of a reduced size square top door, they have been supplied to display the locking system, door handle and door features.